Ben Rortvedt was the Minnesota Twins’ second-round draft pick one year ago. He may be struggling at the plate with the Cedar Rapids Kernels, but he has become a trusted man behind the plate for Tommy Watkins and the Kernels pitching staff. Consider that just over a year ago, he was going to prom and graduating from high school. 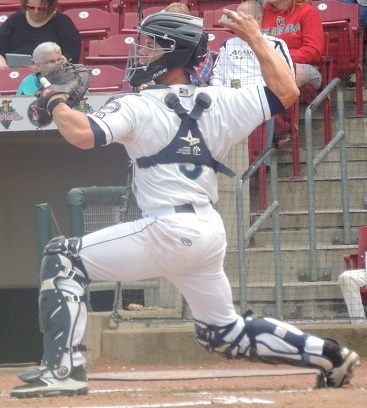 Recently, we caught up with the talented catcher to talk about the beginning of his season, his pre-pro baseball experiences and much more.Rortvedt grew up and played his high school ball at Verona Area High School in Verona, Wisconsin. It is a small city about ten miles south and west of Madison. He began this season with the Cedar Rapids Kernels, and their season-opening series was in Beloit, a 60-mile drive for his friends and family. The weather in April in the Midwest League can be unpredictable. While there can be some really nice days, there are seemingly always a handful of games where the temperatures approach freezing by the end. Being from Wisconsin might seem to be an advantage for Rortvedt, but that’s not necessarily the case. That friend was Gavin Lux, the Los Angeles Dodgers first-round draft pick in 2016, 20th overall, from Kenosha, WI. That’s right, two prep players from Wisconsin schools were selected very early in the draft. And that’s how Rortvedt was seen. He played for the high school team, but he was part of the national showcase circuit as well. It’s been a tough start for Rortvedt offensively. 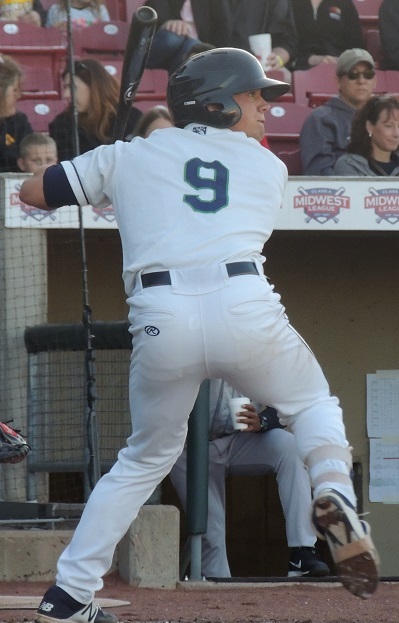 Following an 0-2 on May 15, Rortvedt was hitting just .108. In his last four starts, he has gone 6-15 (.400) to raise his average to .151. As you would expect from a guy one year removed from high school, he hasn’t struggled like this at the plate in his life. As I noted, he’s had multi-hit games in three of his past four starts. Maybe it’s the start of the turnaround. He will hit in time. For right now, he is doing his part by being a tremendous player behind the plate. In-person observations showed me that he has a very strong arm. He sets up well and gets rid of the ball quickly. But despite his youth (he won’t turn 20 until the end of September), he has really good leadership skills. He works very well with the Kernels pitchers, guys three or four years older than he is. Rortvedt calls it ongoing learning. 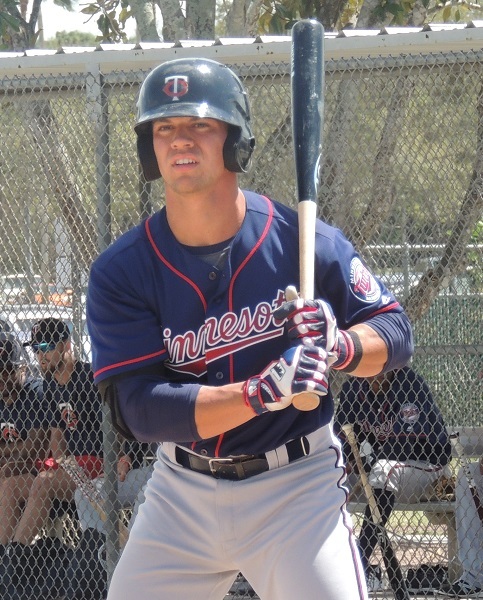 Last year after the draft, Rortvedt began in the GCL, but spent the final month in Elizabethton. That’s where he worked with most of the guys that he is now catching with the Kernels. He’s worked hard to improve behind the plate, but it’s also been a lot of work. And now as a pro, he’s able to work with more people. He also highlighted his summer coach, RJ Fergus, and his high school coach, Brad Durazo “who was really helpful.” He also noticed that there was so many people that helped him get to this point that he figured he’d better not attempt to mention them all by name. And now, Rortvedt is getting coaching from the Kernels pitching staff. Tommy Watkins is his manager. His hitting coach is Brian Dinkelman. While he is a hitter, he also spends a ton of time working and communicating with pitching coach JP Martinez. 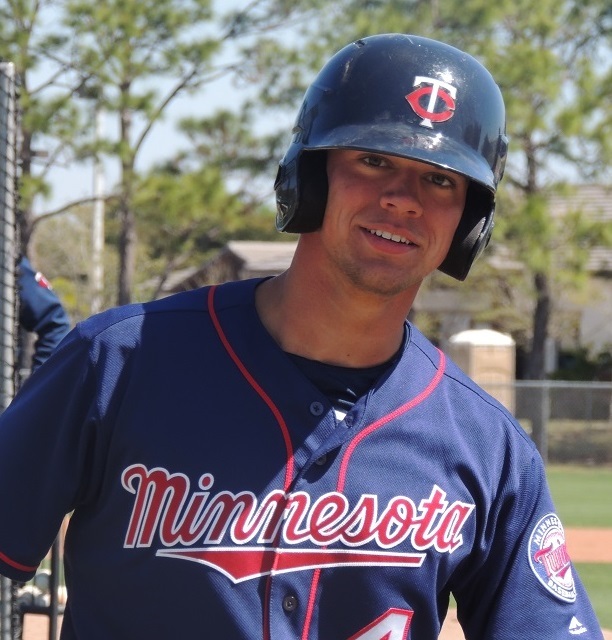 Like all catchers in the Twins system, Rortvedt calls the game for and with the pitchers. He says that is part of his and the pitchers’ development. If there are disagreements, the coaches will speak with the catchers between innings. Manager Tommy Watkins has a high level of confidence in Rortvedt. He knows there is work to be done, but he keeps putting his name in the lineup most games because he believes in his defense now, and what his offense can be in time. He fully understands just how young Rortvedt is relative to the league. He also happens to think that this Cedar Rapids team has a chance to do a lot of winning this season, and so far, they are leading their division in the first half. How good can his team be? And probably to no one’s surprise, Rortvedt’s goals for the remainder of the 2017 season are more team than individual in nature. Rortvedt certainly displays the tools behind the plate to become a plus defender. While the offense has started out slowly, he’s got an approach and the strength to be a productive hitter as well. There is good reason why he was found quite high on many Twins prospect rankings before the season. It will be fun to watch him continue to develop the rest of 2017 and for the next few years. Can never go wrong with a Wisconsin boy!! Good stuff, and he has great potential, but he has issues adjusting to hitting with wood, which need to be addressed. He is hitting .153/.210/.194 this season, after hitting .222/.306/.253 last season. One cannot continue to be sub-Buterean with the bat, and expect to be a major leaguer, no matter how good the glove is.He needs help and I hope that they realize that he needs help and they give it to him. for that reason I'm surprised they pushed him to CR this season.He struck me as a guy that would be in EST and then headed to Etown. Now: I think I can, I think I can. Say that enough and believe it. Work harder than everyone else and someday he'll say, I knew I could, I knew I could.